Professional blogging has been making waves in the online community of bloggers. People who share a passion for writing have realized that they can actually make money on the internet by using their writing skills. Writing is an art that has to be developed in gradual stages. It does not happen overnight unless you are naturally gifted. 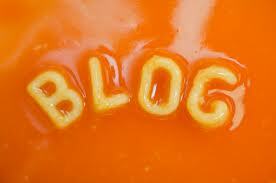 Blogging is not a tough task to do, it takes a little bit of honing of writing skills, dedication and commitment. If you have these, you can very well become a professional blogger. However as every job needs its share of understanding, there are some things that will help you become better at it. For a blogger who is willing to take the plunge and prove himself in the field of blogging one thing is imperative and that is seriousness towards the profession. It is a known fact that if you choose blogging as your profession you can enjoy the liberty of working at your convenience. You can have flexible work hours, take up part time assignments and even consider the option of working as a freelancer. The nature of the work does not need you to confine yourself to an office space and work a given number of hours. That said, you cannot afford to take the profession lightly. Your readers should get a feeling that you are very serious about what you are writing and that you mean every word you write. This will also help in establishing your credibility as a writer. Regular posts and updates on your blog is an indication that you are consistent in your work. 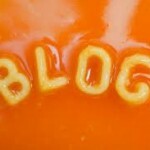 This entry was posted in Blog Writing and tagged how to blog, Professional Blogging Tips. Bookmark the permalink.